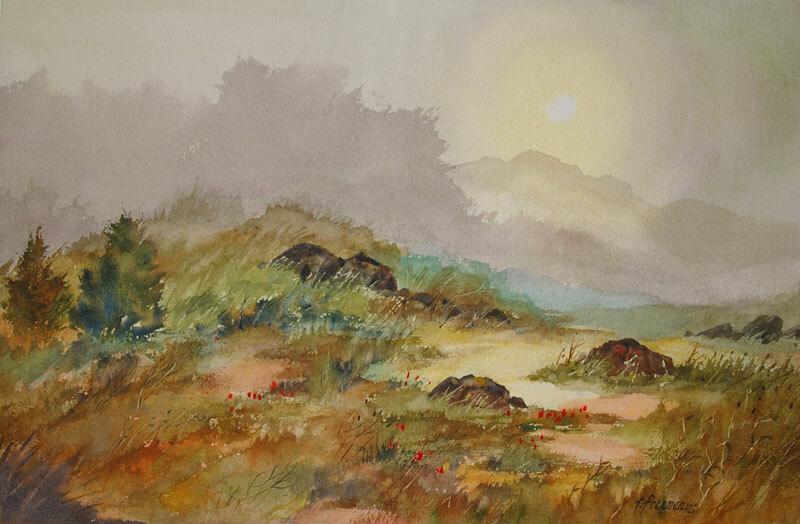 Thomas Freeman Original Watercolor Painting: "Pacific Morning"
At a place called Asilomar near the ocean it gets quite foggy. With lots of dunes and wild vegetation it is perfect for watercolors. There is a small group of deer that live there also.